I learnt long ago my romantic ideas of browsing the local bookshop with my children were pure fiction. I LOVE a bookshop, me! I’m a sucker for a bookshop and I love the chance to browse the shelves looking for the latest books and ones I haven’t seen before. Before I buy, I want to make sure they’re books both me and the kids will enjoy, so I always need to flick through the pages for a quick read first. 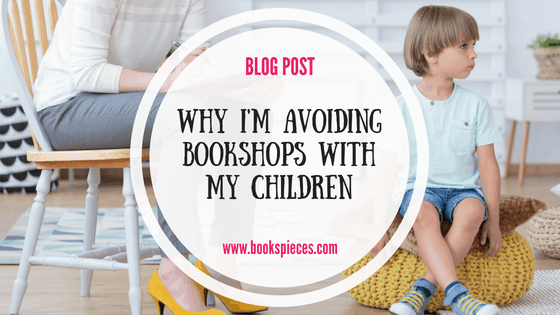 The problem is I have three young (and very active) children, so getting the chance to browse with the Terrible Trio in tow is pretty much non-existent. Having spent close to 30 minutes cajoling the gang and getting everyone suitably dressed and out the house, plus packing a bag with refreshments for the team, we’d finally be in the car and making the 20 minute journey to our nearest town. We’d arrive in the car park and I’d probably realise I don’t have the right change for the Pay and Display, so I’d be rummaging in my crumb-lined pockets and scanning the car footwell to scrabble together the cash, or moving to the pricier pay on exit car park. We’re finally out the car and on our way to the bookshop. If I get all three to the door without one or more rushing off, and the littlest stopping to ask close to 20 people “is your doggy friendly” en route then I’ll consider that a win. 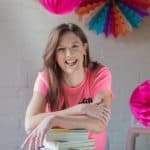 In the shop, there are far too many colourful books and toys to look at and abandon – and don’t even mention the walkways between bookshelves which make perfect running routes, hiding spots and climbing frames for my three. I’ve probably got a bit of a sweat on by now as I try to stop my children causing total havoc and settle them down to pick out some books. Two start fighting over who gets to have the book on their lap, and the third has got fed up and has found an old man in the corner to talk to. I try to take some time looking and choosing, but I’m really not paying attention – to be honest I just want to get them the hell out of there. So I let the boys grab a book each and £20 later I’ve got another three dinosaur books to add to the collection and my stress levels have gone through the roof! I decide they need to run off some steam so we head to the local park where I become chief swing pusher, monster under the slide, and discarded clothes collector. The ice cream van turns up and the kids are pleading for an ice cream – I figure it will buy me a 5-minute sit down so I’m all in favour. But when did ice creams become so expensive? I forego my ice cream, but still send the best part of a tenner on the boys’, and my promised peace goes to pot when the littlest trips and splats his ice cream on the path. I urge the big two to finish their ice creams pronto (having given their little brother a lick or two), and carry the crying lead weight, our bag of books, and two disgruntled big boys back to the car. We’ve run over our 2-hour time limit and the attendant is there writing out a ticket! So that’s over £50 and one whole morning I won’t be getting back! If so, you might want to take a look at my Storybook Subscription service – a monthly book subscription for children. 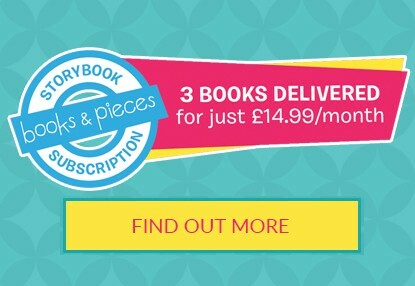 For the special launch price of £11.99 per month you’ll get three books in the post each month plus activity suggestions in your inbox to help you get more out of each book. Choose from packages for 0-2 year-olds, 3-5 year-olds and the mixed age package for families like mine. I don’t plan to always avoid book shops with my children, but while they’re young I think I’d prefer to shop from the comfort of my own home! 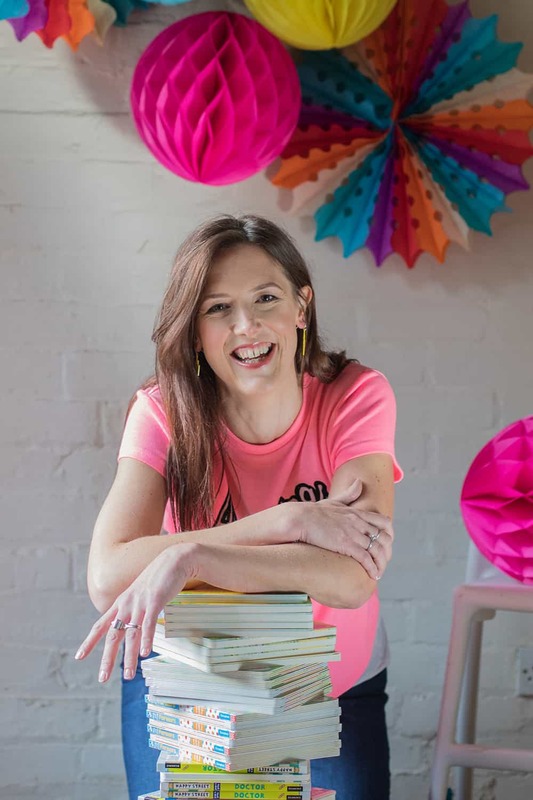 Amanda Overend set up Books & Pieces to make buying quality children’s books easy and affordable. She lives in Leicestershire with her three little boys (and one big one! ).